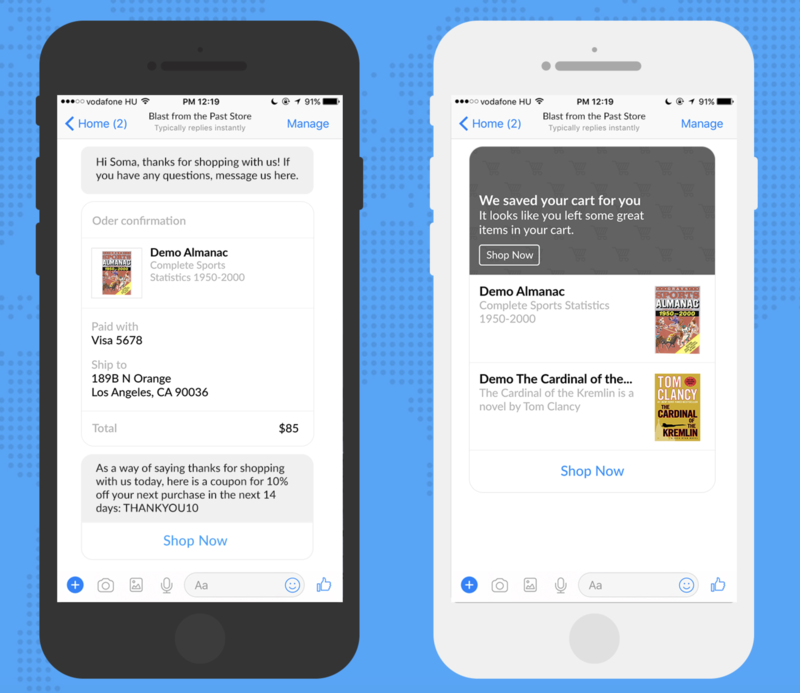 Set up Facebook Messenger marketing on your store and sell more than ever! 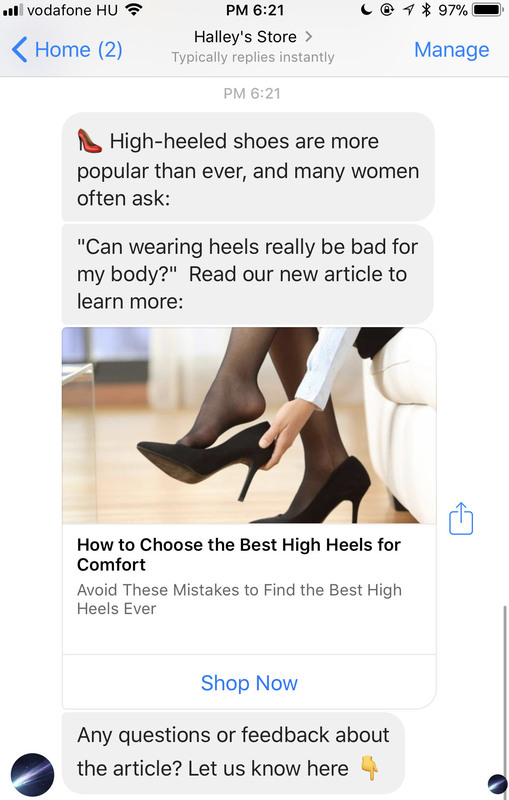 Using Recart Messenger Campaigns are a great way to reach out to your customers through a new and effective sales channel: the Facebook Messenger. Before activating your Messenger marketing campaigns, you need to connect your Facebook Page to Recart. Start growing your Facebook Messenger list, turn on one of the subscription tools now! Go to your Messenger Dashboard, then edit & enable the Messenger Add to CartPopup. To activate these campaigns, simply go to Messenger - Auto Campaigns, configure and enable the campaigns you want to use. If you would like to learn more, please read our summary about all Messenger Auto Campaigns here. You can also send Instant Messenger Campaigns, which will be sent to all your permanent subscribers almost immediately. This is a great way to send quality content to your previous visitors and encourage them to visit your store again. Please note that you shouldn't send any discount codes in your Instant Messenger Campaigns, as these would violate Facebook policies.